The City of Oslo has asked for another NOK 200 million in funding from the state to cover the costs of the new Munch Museum planned for Oslo’s eastern waterfront. City officials admit they had earlier left out the price of the museum’s lot and the costs of infrastructure around it. Newspaper Dagsavisen reported on Friday that the city has now officially set the budget for the museum at NOK 2.05 billion (USD 342 million), up from the NOK 1.8 billion they publicized last year. 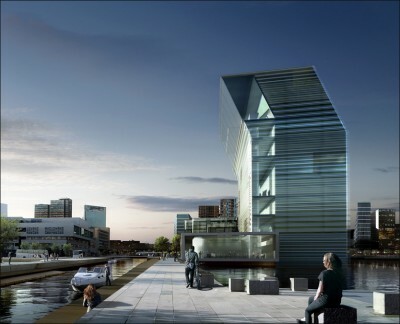 Of that, the city is now seeking NOK 683.6 million from the state Ministry of Culture, to help fund the landmark project. Asked why the city had left out the NOK 200 million in extra costs, the assistant to the city’s head of cultural issues, Hallstein Bjercke of the Liberal Party, said it was because the location for the museum hadn’t been decided upon. Now that city politicians finally have agreed on the site next to Oslo’s Opera House, after years of quarreling, the costs can be figured into the total sum. Anne Siri Koksarud, Bjercke’s assistant, stressed that the expected cost of actually building the museum hasn’t changed, even though roughly another NOK 150 million was added to the cost last year because of its energy needs. “This is what we feared,” Oslo’s vice mayor from the Labour Party, Libe Rieber-Mohn, told Dagsavisen. The city’s conservative government has a track record of having trouble controlling the capital costs of major construction projects, which is another reason why so many Norwegians oppose the city’s plans to host a Winter Olympics in 2022, and state politicians are skeptical towards it. Rieber-Mohn said her opposition party would not, however, launch into a new debate over the museum because of the higher costs. The state’s Conservatives-led government indicated that the city will get what it needs to finally build the new museum to house the art inherited by the city from artist Edvard Munch.